About a year ago I was very interested in learning as much as possible about the subject and gathered as much information as I could about it. I watched several conference talks and I read several articles from very knowledgeable and experienced people, like Martin Fowler, Fred George, Adrian Cockcroft, or Chris Richardson, in order to learn as much as possible about microservices, and this post is the result of that. When should we use Microservices? How big is a microservice? A micro-service architecture is an architectural concept that opposes a monolithic approach on an application architecture. This means that instead of having an application with all its bounded contexts running in one server using in-process communication, we will have several smaller applications, corresponding to each of the application bounded contexts, running in different servers and communicating through the network, probably using HTTP. In other words, the micro-service approach encapsulates the bounded contexts of the application, one bounded context in each micro-service, each micro service in its own server. According to Martin Fowler, the term SOA has been widely used, in a very abusive way, and currently means many things, it is a very broad term. In Martin Fowler view, Microservices is a subsection of SOA. As an academic, and pragmatic architect wannabe, I think this is a decision too important to make based on myths, or on what we want to try next, or on our desire to be in the cutting edge of technology. We need to base such an important decision in pragmatic trade-offs, in line with what Rachel Myers defends. I agree with Rachel, however I also feel that those characteristics are achievable in both monolith and micro-services architectural styles. A monolith approach is much simpler to build, to orchestrate and deploy. A microservice approach will need heavy orchestration because it deploys to several servers, and uses other microservices APIs. Using a microservice approach, we can update only a piece of the application. However, in a monolith architecture, we always need to redeploy the whole application, which involves more risks. In a monolith application, its easier to maintain consistency of coding, error handling, etc., while in a microservices approach each microservice is fully managed by different teams, which might decide on different standards. In a microservice architecture, availability is higher, because even if one microservice fails, that means that one of the pieces of the application fails, not the whole application. 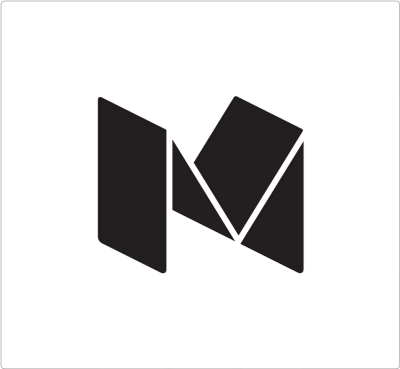 A monolith approach makes it easier to refactor situations where several modules need to communicate or when we want to move classes from one module to another. When moving into a microservices approach, we need to have the modules boundaries very well defined! Keeping modularity and encapsulation can be quite difficult, despite SOLID rules. However, using a microservices architecture, we can further guarantee that there will be no shared state between modules. Microservices give you the option and flexibility to use different technologies, different programming languages, according to the business needs. Each module, being in different server nodes, can scale horizontally in a rate independent of other modules. Keeping modularity and encapsulation IS possible in both monoliths and micro-services. Nevertheless, it can be quite difficult and we have been trying to do it for decades, quite unsuccessfully, despite SOLID rules. However, using a microservices architecture, we can further guarantee that the logical partition of the application (modules) is enforced by its explicit physical partition in separate servers/nodes. This physical isolation makes it unnatural to cross the bounded contexts boundaries. Because each module is in different server nodes and use an agnostic communication language, they can use completely different programming languages, communication tools, monitoring tools, or data persistence tools. This is great for choosing the best tool for the job at hand and innovate by being early adopters of new technologies. A microservice can evolve and break backwards compatibility without it getting clutterred with code to support older versions, because we can leave older versions of the microservice running while needed. I feel the hard pros are the real pragmatic reasons to use a micro-services architecture. Those are the only things we can not do with a monolith, so if we need them, we must move to a micro-services architecture, otherwise the complexity demanded by a micro-services architecture is hardly worth it. I also think the partial deployment and partial availability provided my micro-services, although impossible to do with monoliths, they are not really key advantages (although they are advantages nevertheless). Independently of what is our preference or desire, we should NOT start a new project with a microservice approach. In the beginning we must focus our attention on understanding the domain, and for that we can not be distracted by the huge complexity of creating a microservices ecosystem (Rebecca Parsons, Simon Brown). The reality of software development is that the start point is never one where we fully understand the domain. We deepen our understanding of the domain as we go, and we have a constant need of refactoring. So, refactoring is a need, but also a danger because code can become confusing, messy, specially if bounded contexts are not respected. Microservices reinforce the bounded contexts borders and so, they help maintain the sanity, clarity, isolation and encapsulation of the code, in decoupled and cohesive modules. If a module/microservice gets messy, the mess is contained within it, it does not spread easily beyond its borders. We need to go faster, in all stages of the development cycle! Although this is true both in a monolith and a microservices approach, the microservices approach is said to better comply to that need. Rapid provisioning: We need to be able to deploy new machines rapidly, for development, testing, acceptance and production. Rapid application deployment: We need to be able to automatically and rapidly deploy our services. Fred George tells us the same thing: there is a huge drive/need to go faster and get ahead of the competition! He does a retrospective of the hardware lead times and he notes that the evolution goes from taking 6 months to get a server, back in 1990s, to 30min in 2010 using cloud services, and currently (2015) we aim to need less than a minute to have a new server up and running, using Docker. Adrian Cockcroft, one of the keys in netflix cloud and microservices early adoption, also tells us how important it is to have early adoption of new technologies and to be very fast in provisioning new machines and deploying new versions of our application. He is a big fan of Docker, because it allows provisioning and deployment of development, testing, and production boxes, in a matter of seconds. Monitoring is critical (Rebecca Parsons), we need to know when a server is down, when something becomes unresponsive, when calls are failing, and we need the tools to quickly debug it (Martin Fowler), and we need to know it per microservice (Fred George). We need to have devops exclusively to handle monitoring and orchestration, and we need a proximity relation with good communication between developers and devops (Martin Fowler). In a microservices approach we have more things to deploy, monitoring needs to be more sophisticated, the amount of things that can fail is much higher. As such, having a strong devops culture is a strong requirement (Rebecca Parsons). Martin Fowler and James Lewis, tell us what they found to be the set of characteristics that define a micro service, in their well known article and some of their talks (Martin Fowler, James Lewis). A bounded context is an explicit conceptual boundary around a business context. For example, in a eComm platform, we can think of “themes”, “payment providers”, “orders”, “shipments” or “app store” as bounded contexts and therefore candidates to microservices. Some other good background information related to microservices in general is the book “Building Microservices”, authored by Sam Newman, for which we can access a free preview here. James Lewis, co-author of the known microservices article, together with Martin Fowler, states that a service should be just big enough to fit his hand, meaning that one person should be able to completely understand that microservice. In the community, the microservices size varies a lot. Martin Fowler found cases of companies with ratios that range from 60 people per 20 services down to ratios of 4 people to 200 services. The Amazon approach, he mentions, is the two pizzas team: a microservice team should never go beyond the amount of people that we can feed with two pizzas. Fred George says that a microservice should be “very, very small”, needing only a team size of one developer, to develop and maintain, which is in sync with James Lewis. Personally, I agree with James Lewis, Fred George and Adrian Cockcroft. I feel a microservice should correspond to a bounded context that one person can fully understand. Nevertheless, either in the very beginning of the microservice life cycle or later on, a bounded context / microservice, might be too big to be understood by only one person, in which case we need to identify bounded contexts within it, and further segregate it into different services. This is in sync with both the evolutionary architecture concept and DDD, where both of them defend that an application architecture is in continuous change/refactor, as we learn more about the domain and/or the business requirements change. As Rebecca Parsons says, “the granularity question is crucial”: the most difficult thing to do when developing microservices is defining the boundaries, and we will surely be merging and segregating services as we further understand the domain and/or the business requirements change. A component is part of a system of components, where each component is independently replaceable, independently upgradeable (Martin Fowler) and independently scalable (Rebecca Parsons). Being heterogeneous, means the system is able to be built using different programming languages. This has several advantages (Martin Fowler), and Chad Fowler believes a system should be heterogeneous by default, meaning developers should not only be allowed, but be encouraged to try new technologies. RULE: The code unit we use to try a new technology, must be disposable. This approach goes together with Conway’s law, which tells us that if we want to have highly cohesive and decoupled microservices, we need to design our organization structure as a reflection of the components structure we want to have. The old approach was to have a team build a set of functionality which, when finished, was given to another team to be maintained. In a micro-services approach, a team should own a product over its full lifetime, all the way from development, into maintenance, until the product is taken off-line. This approach creates the “product mindset”, which means a strong link between the technical product and its business capabilities. It creates an on-going relationship where the question is how can the software assist its users to enhance the business capability. The micro-services architecture moves the business logic into the endpoints and uses a simple communication mean, like http. Key decisions about a micro-service should be made by the people actually developing the micro-service. Key decisions are decisions, ie, about the programming language, the persistence tool, the deployment methodology, the public interface contracts, the UI, etc. 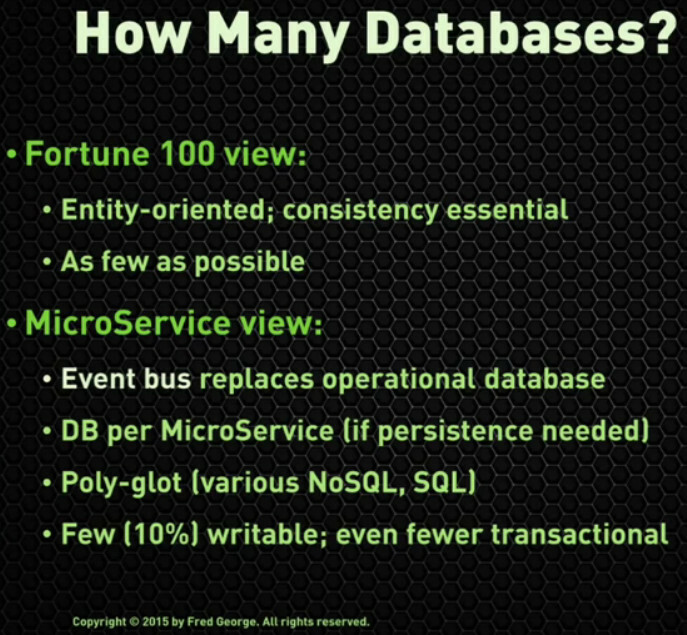 In a micro-services approach, where each business component is a micro-service, each component will have its own database, inaccessible by other micro-services. Each component data is only accessible (both for reading and writing) through the related component interface. This also means that the data persistence type can also be different between business components (Martin Fowler, Chad Fowler). For Fred George, this is the first challenge in moving into a microservice approach. Monitoring, so we can spot when things go wrong and have monitoring tools to debug it. When we have an application distributed throughout several servers, they will eventually fail, specially if in different nodes. So, we need to design our software in a way that it is prepared for those failures (Martin Fowler). Chaos monkey is a tool, built by NetFlix, which turns servers down, in order to test the resilience of a system to this type of failures (Martin Fowler). This is also something Rebecca Parsons finds crucial, after all we are not even using in-process communication between our services any more, we are using http communication which is not even remotely as reliable, so services communication will fail and our system must be ready for it. Break up each piece of the UI per microservice, and keep each piece together with the corresponding microservice. This approach has the benefit of having the frontend communicating in-process with the backend. However, the complexity of maintaining UI consistency across microservices is very high, if not impossible, and will lead to the need of updating several microservices simultaneously when there are cross boundaries changes to the UI, coupling microservices and eliminating the isolation and independence of the microservices provided by this architecture style. This actually makes this option an Anti-Pattern! Break up the frontend and backend code bases, keeping the UI of an application together, which then communicates with the microservices through HTTP. This keeps the microservices decoupled from each other and provides extra decoupling between backend and frontend, while maintaining each application UI together, making it trivial to keep the UI consistent. This is the structure advised by Rachel Myers, and as far as I’m concerned its the only way of doing it. Many tiny HTTP async requests instead of one big request, which has the advantage of being non-blocking (approach preferred by Chad Fowler). One big request to a specialized service (gateway / aggregator / cache) who then gathers all data from the microservices ecosystem, which reduces UI complexity. One of the advantages of the microservices is that we can use different technologies for the same purpose. We can use a different XML parser library or a different data persistence tool in every one of our microservices. But the fact that we can do it, doesn’t mean that we should. Using a multitude of technologies and libraries it can get out of hand, so we need to select a fundamental set of tools and only go outside those tools when we actually need to (Rebecca Parsons). Particularly when in the beginning of the development of a microservice, its API is quite unstable, but even at later stages, when the microservice is already mature, we will need to change the API, both its input and output. When making those API changes, the process must be managed carefully because there will be software relying on that interface stability (Rebecca Parsons). As, when using microservices, we will have each microservice with its own data storage and in many cases data belonging to one microservice will be partially or totally duplicated in another client microservice. That duplicated data will be updated when the client microservice receives an event triggered by the supplier when its data is changed. The event that is triggered will go into a message queue, where it will wait until it gets picked up by the client microservice. This means that the client microservice will be returning outdated data while it doesn’t pick up the triggered event. The data is inconsistent. Nevertheless, eventually the data changes will be propagated to all the copies, data will be great consistent again, and hence the term “eventual consistency”. This term is simply an acknowledgement that data might be inconsistent for some (short) period of time. When starting to build an application, we should still start by building a monolith, for its simplicity. Yet, we must try to build it in such a way that it is very modular, so that those components will be easy to detach into a standalone microservice (Rebecca Parsons). This, is in fact, in sync with Simon Brown’s idea of designing an application as a set of decoupled components in a single deployable unit. What are the value streams that exist in the organization? the business products? the business services being delivered? Rather than a producer view, we can also look at a consumer view: what will the consumer want from this service? How will he use it? What will he expect? Most of the projects don’t need a Microservices Architecture, what they need is a good architecture. By good Architecture I mean a good structure, but also (maybe even more important) a clear definition of the structure, a clear and accurate reflection of that structure in the code, so that it is implicitly communicated to the developers, so they can see the bounded contexts borders and understand when they should cross those borders or not. Then it is up to the developers to maintain and evolve the architectural structure. This involves strictness to stick to the plan, to the structure, to the architecture, which is not always easy, given that we are only human. 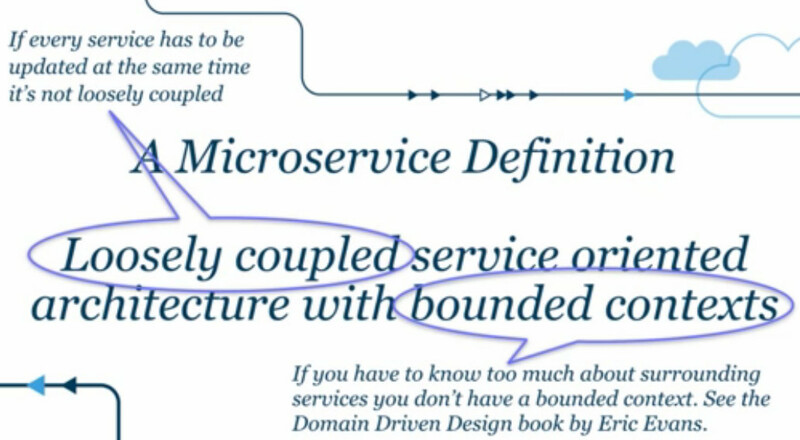 Eric Evans • Dec 2015 • DDD & Microservices: At Last, Some Boundaries! Great and fundamental work! Thanks a lot!